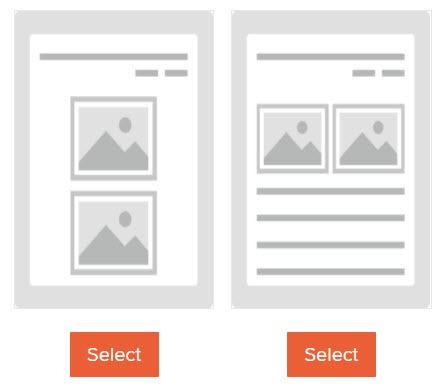 Print Wizard has a three step process which allows you to quickly alter the layout, add borders, and select which sections are included for printing. 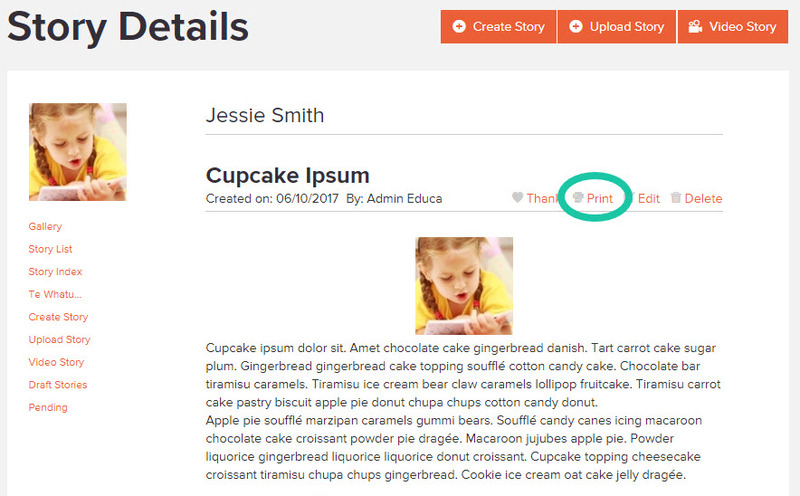 1: Navigate to the Learning Story or Dashboard Message you wish to print and select the "Print" button. 2: In the Print Preview you will have two options to print, select "Print Wizard" on the top left. Alternatively, you can click "Print as PDF" to print or save the story exactly as you see it on this page. 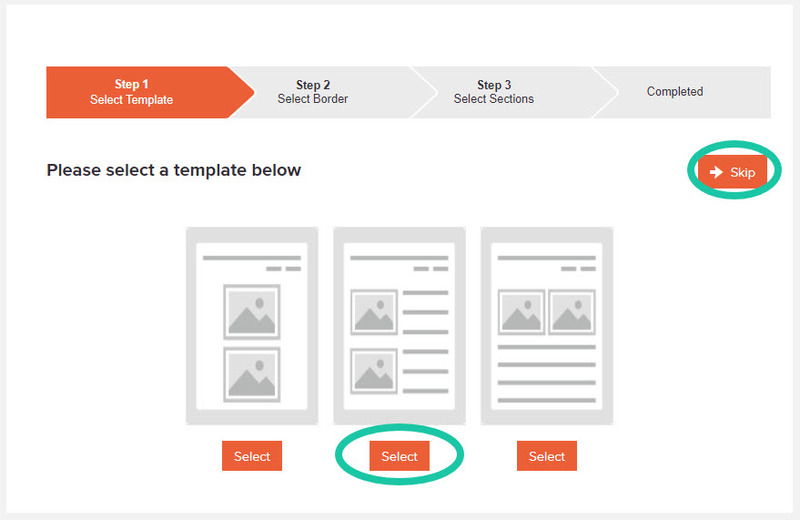 3: Step 1: Select Template will allow you to select a template for the story, or click "Skip" to leave the story as is. 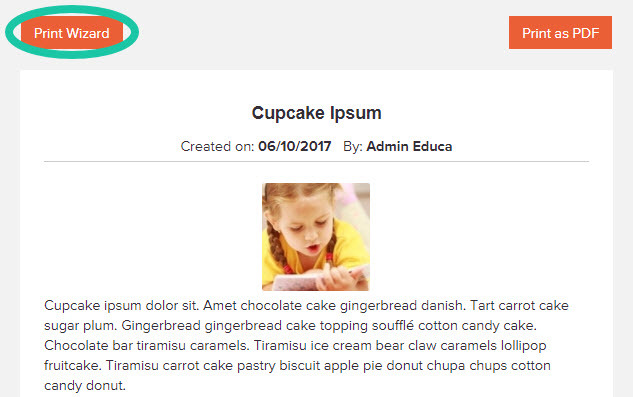 This will alter the current layout you have, depending on which template you select. The templates' icon is a preview of what your layout will print as. 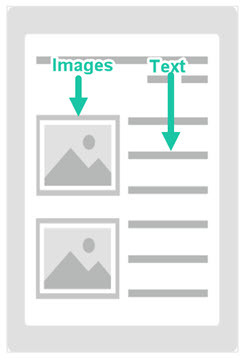 Any images are represented by the picture icon, and text represented by grey lines. The top two lines of text represent the story title, author and date. For example, the first template below will print with no text. The second will print with the images at the top and story text below. 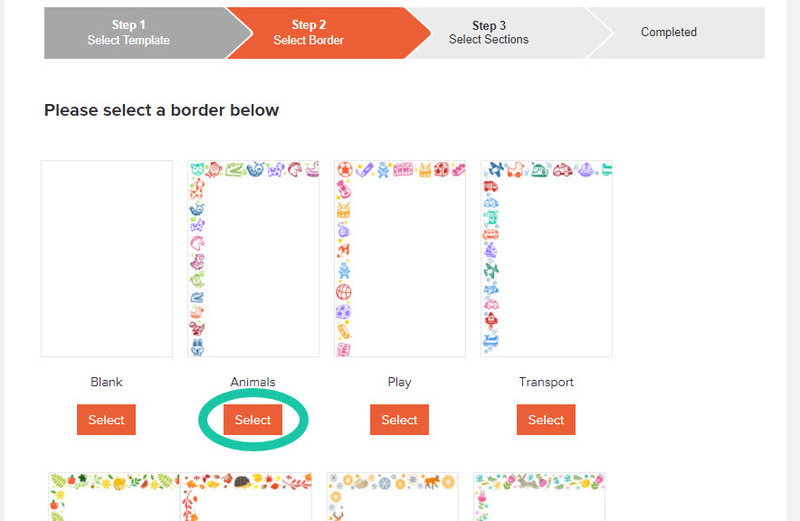 4: Step 2: Select Border allows you to select a border pattern to match your story. Once you have found one you like, click the orange "Select" button. You can also choose to have no border by selecting the Blank option. 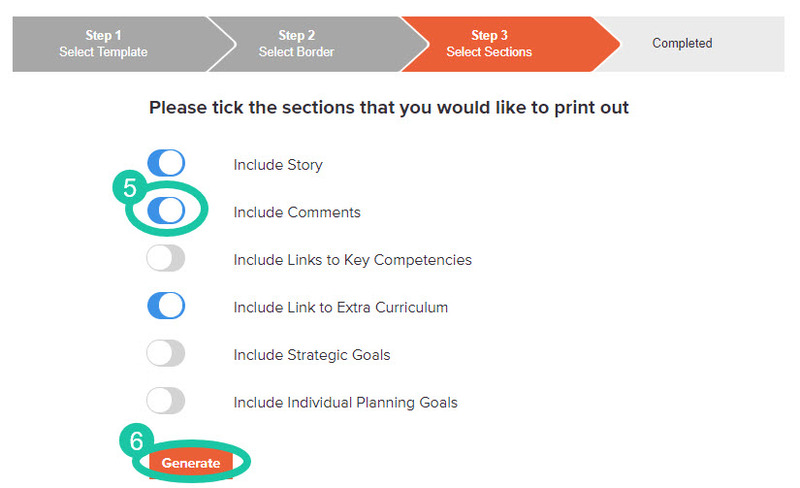 5: Step 3: Select Sections allows you to choose which sections you wish to include. In this case, you are not able to deselect the story. Click on the grey circle/slider to select it, and it will turn blue. Blue means it has been selected and will be included in the print preview. 6: Click "Generate" to load a preview of you print. 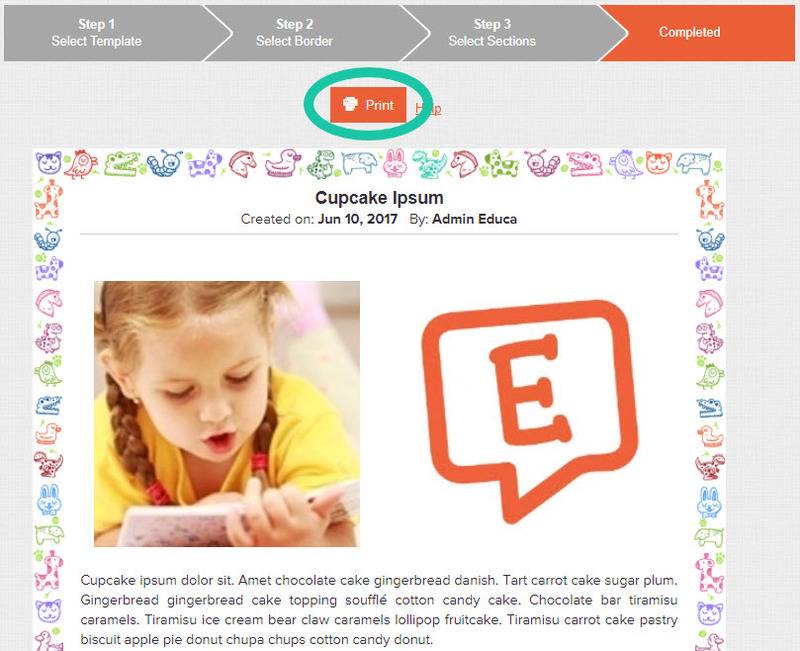 7: Preview and Print: Once the preview has been generated you can decide if you want to print or go back and edit. If you would like to go back and edit some of your previous selections you can do so by selecting the Step you would like to go back to in the list of steps at the top of the page. Once you are happy simply click the orange "Print" button to print your image.